To celebrate our recent appearance on the Sunny Side Up Show on the Sprout Channel, I made this delicious and I must say pretty adorable egg breakfast the week before the show aired! Research tells us a few things - breakfast is the most important meal of the day and when we make food look 'fun and yummy' kids are more likely to eat it! Happy cooking! - 1 tablespoon of coconut oil (organic, unrefined) in the pan. - 1 red bell pepper - cut into horizontal strips. The bigger cut peppers held more egg. Directions: Just cut up a few peppers horizontally and place on pan for a few minutes first. Then add the egg and any other toppings! Rowan and I went to our favorite story time this morning at the Riegelsville Library. After reading stories about going for walks, Miss Julia announced that the craft today was making walking sticks! What a great idea for kids! 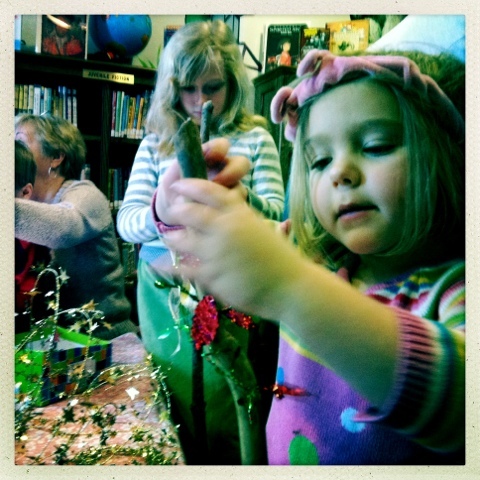 They decorated the sticks with markers, bells, buttons, pipe cleaners & ribbons. 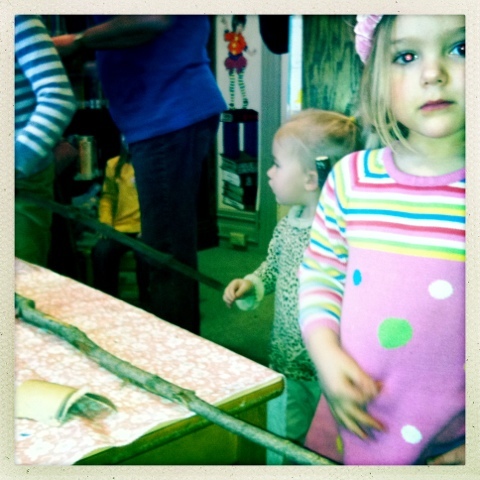 Now all of the kids are eager to get outside and try out their brand new, hand made walking sticks. How's that for inspiring kids to get out & play? Thanks, Miss Julia! Labels: Kids crafts. Walking sticks. Story time. Riegelsville library.